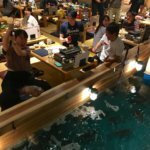 Daruma - what it is and How to use it? 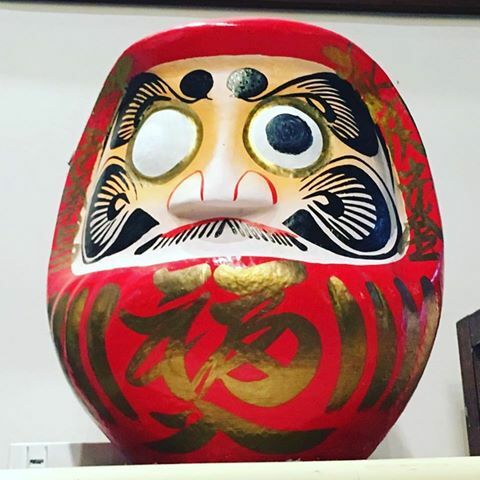 Daruma (ダルマ、達磨）is a lucky item in Japan. Anybody can buy it. 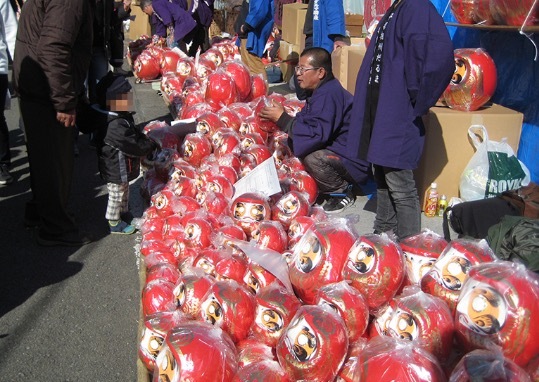 Especially during New Year season, you’ll see some street stalls selling Daruma. 80% of Daruma sold in Japan is made in Takasaki-city, Gunma prefecture, which is about 1.7 million Darumas. When we have a wish, purchase Daruma and draw the left eye and display it where you can see it often. When the wish fulfilled, draw the other eye, then bring back it to a temple where you purchased (the temple near the shop you purchased) and burn it at the end of the year. We do this for showing appreciation to the Daruma fulfilling our wishes or protect us from bad luck. 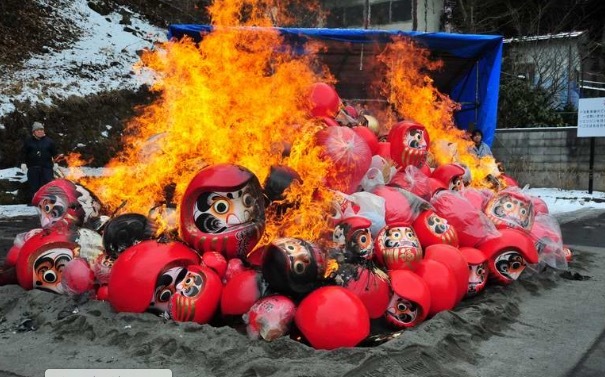 Even your wish didn’t come true, the expiration of Daruma is one year, so it is recommended to burn it at the end of the year, and buy the new one in the following new year. Although there are various views, one of the Daruma’s origin is this. 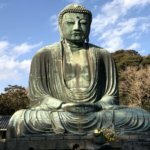 There is a Buddhism high monk Daruma during Kamakura era, he kept practicing zen for 9 years heading to a wall until his rams and legs were rotten. The red Daruma color indicates fire and blood which has effect of preventing bad luck.